It's always a tremendous honor to get voted "Best of" by your local community. I'd like to say thank you to everyone who voted for my shop, Rockstar Body Piercing. 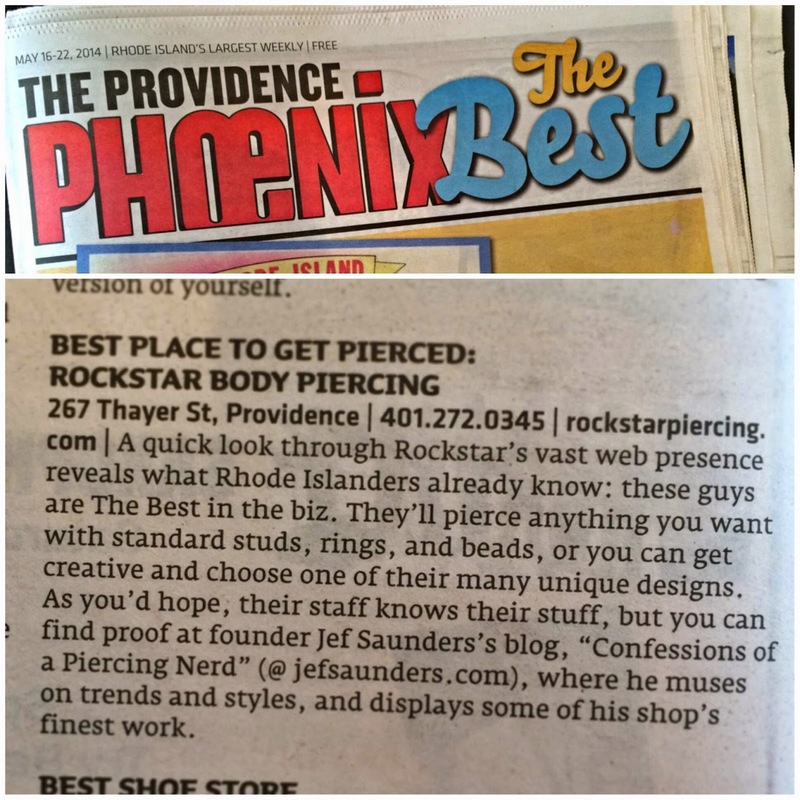 My staff and I are consistently trying to deliver the best body piercing in Rhode Island! It's always nice to know our friends, colleagues and clients believe we are doing just that. I was also very happy to see that this blog was referenced in the Providence Phoenix. I've been blown away by the reception this blog has gotten and I am really looking forward to the posts I have planned for the future! 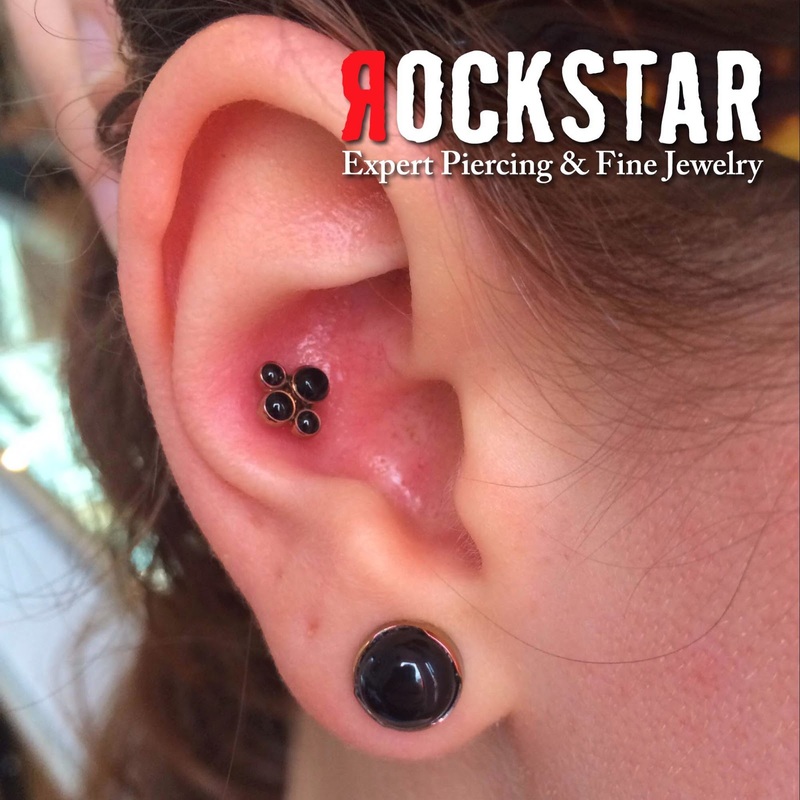 A fresh conch piercing with Anatometal threaded onyx cluster and matching threaded Onyx plugs. Piercing by Jef Saunders.